The 400 Women Exhibition was shown in 2010 at Shoreditch Town Hall. It Comprised of over 200 artists globally, highlighting the heinous crimes committed against women in Mexico over the previous two decades. My work represented Helena Garcia Alvarado, a mother who was brutally murdered allegedly by the Mexican authorities. 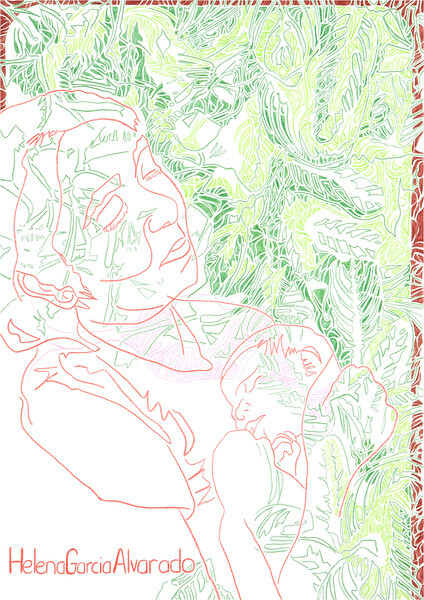 At the time of producing this piece, I was three months pregnant with my first child. I cannot imagine the life Helena's children without their mother could have turned out. The collection went on tour soon after.